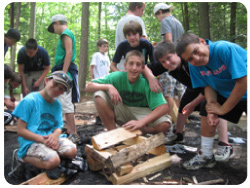 Support the YMCA Camping Services Annual Fund! Our camps have made significant impacts on the lives of countless kids and families over the years, and it is our mission to insure that it continues to be around for generations to come. With a donation to the Annual Fund, 100% of your donations stays at Camp for scholarships, program and facility improvements.